Users over at reddit are reporting that they are beginning to see speed limits appear while using navigation in Google Maps. That’s, well, a really big deal if you ask me. While Waze users have had a similar feature for some time, Google Maps users have had hope to see a speed limit road sign to know how fast to drive. 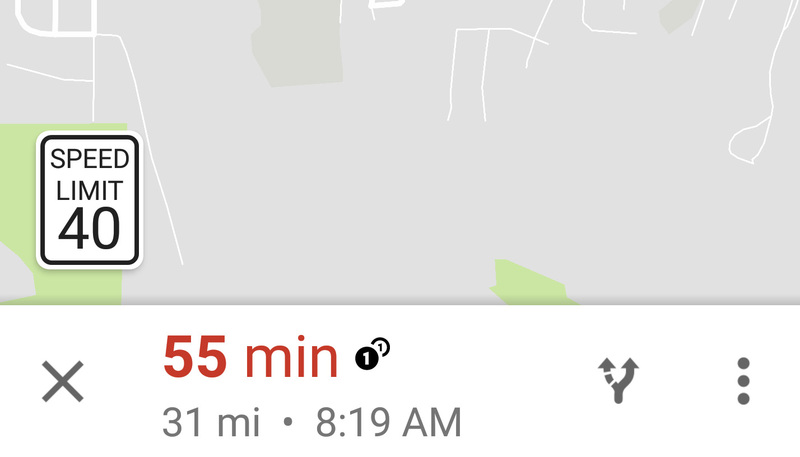 From what we can tell (since neither of us are seeing speed limits), the speed limit for your current road is displayed in the bottom left corner of Google Maps, just above your route info. I do not think that Maps is warning you if you drive faster than the current speed limit, like Waze will do, but at least it’s there now to remove some of the driving guessing game we all play in unfamiliar areas. Neither Tim nor I are seeing speed limits on our end, so there is a good chance that speed limits are rolling out slowly from Google and not through an app update. Let us know if you are seeing speed limits!